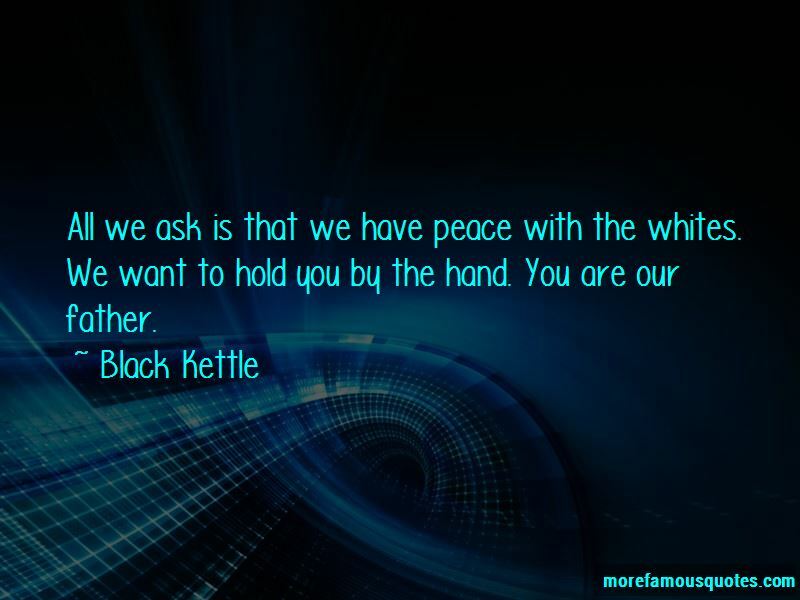 Enjoy the top 11 famous quotes, sayings and quotations by Black Kettle. We have been travelling through a cloud. The sky has been dark ever since the war began. Although wrongs have been done to me, I live in hopes. I have not got two hearts ... Now we are together again to make peace. My shame is as big as the earth, although I will do what my friends have advised me to do. 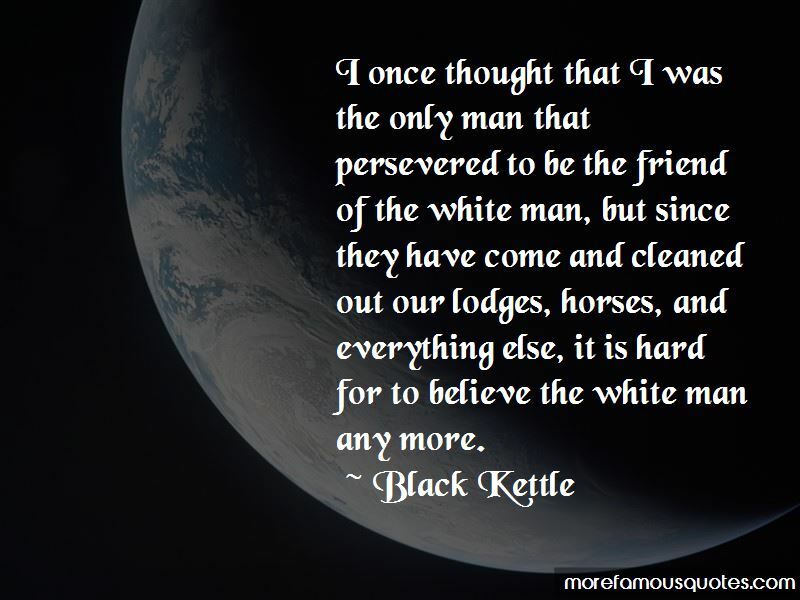 I once thought that I was the only man that persevered to be the friend of the white man, but since they have come and cleaned out our lodges, horses and everything else, it is hard for me to believe the white men any more. 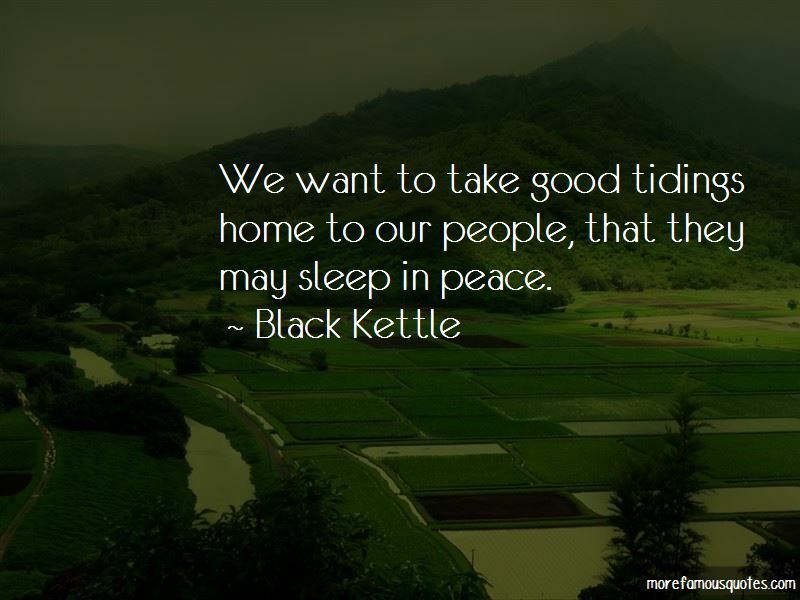 Want to see more pictures of Black Kettle quotes? 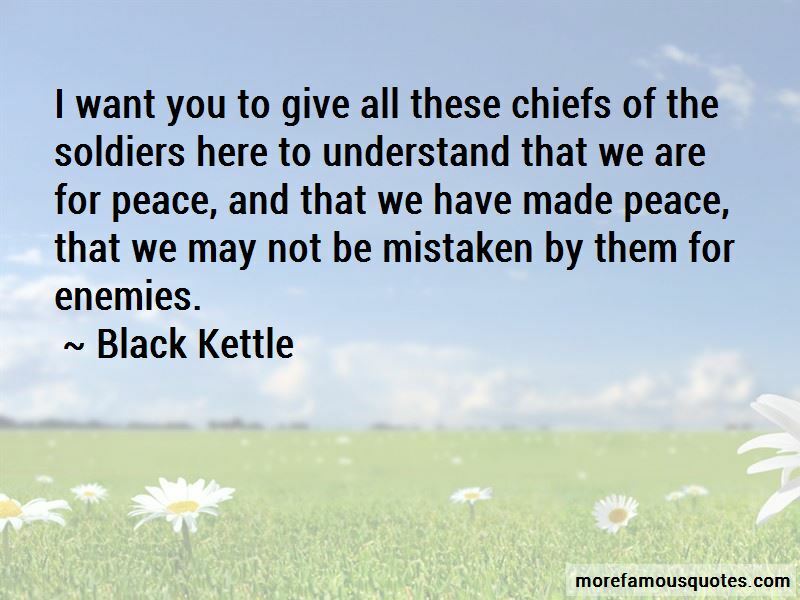 Click on image of Black Kettle quotes to view full size.